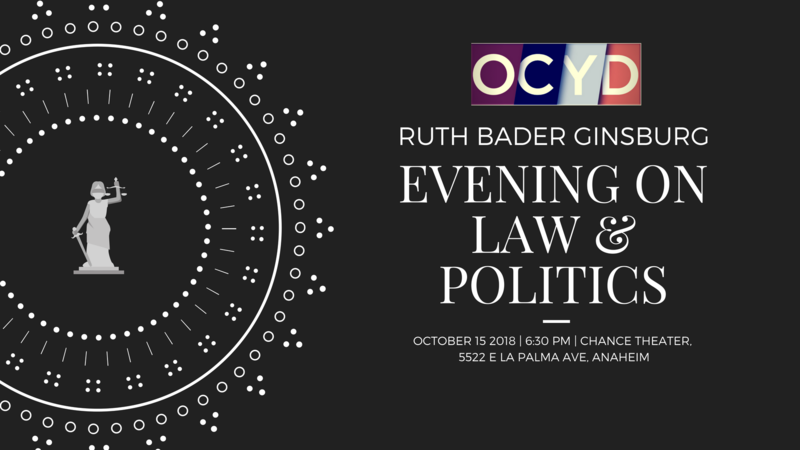 We are pleased to name this annual event in Justice Ginsburg's honor. Our distinguished panelists include Professor Rebecca Brown of USC Gould School of Law, Professor Lawrence Rosenthal of Chapman Fowler School of Law, and Professor Manoj Mate, Visiting Professor of Law at UC Irvine School of Law. Your generous donation goes towards making our organization thrive. Early bird sales end Oct. 1.